Clint Eagar Design Gallery is going to have a special Holiday Open House on December 14, 2017 starting from 3:00pm. You are invited to some Holiday festivities and cheer. Enjoy demo painting, wine and refreshments. See some of Clint’s latest works and designs, and a raffle draw art give away. 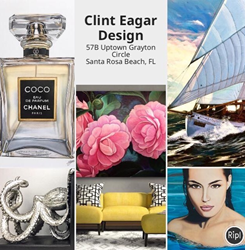 Clint Eagar, industrial designer and artist, creates his own product line which includes fine art, tabletop accessories, sculpture, and textile products. During this holiday season, dress up your table with Eagar’s embroidered placemats, decorate your living room with Eagar’s accent pillows, impress your guests with Eagar’s handmade tabletop centerpieces, and lighten up your holiday with Eagar’s fine art. Tea CupLighten up your day with this cute tea cup. 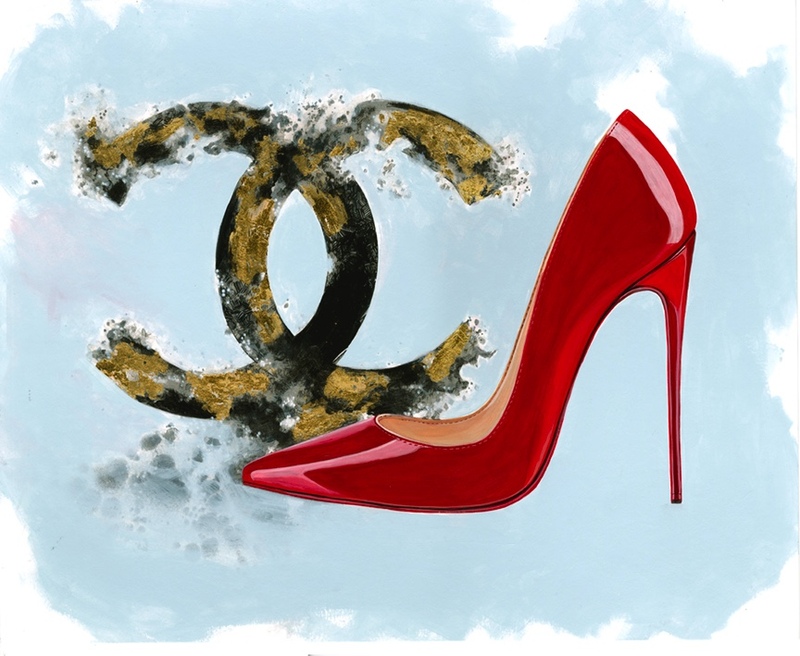 CoCo Chanel Wall ArtThe part in modern art from Clint Eagar’s Lux lifestyle Collection. 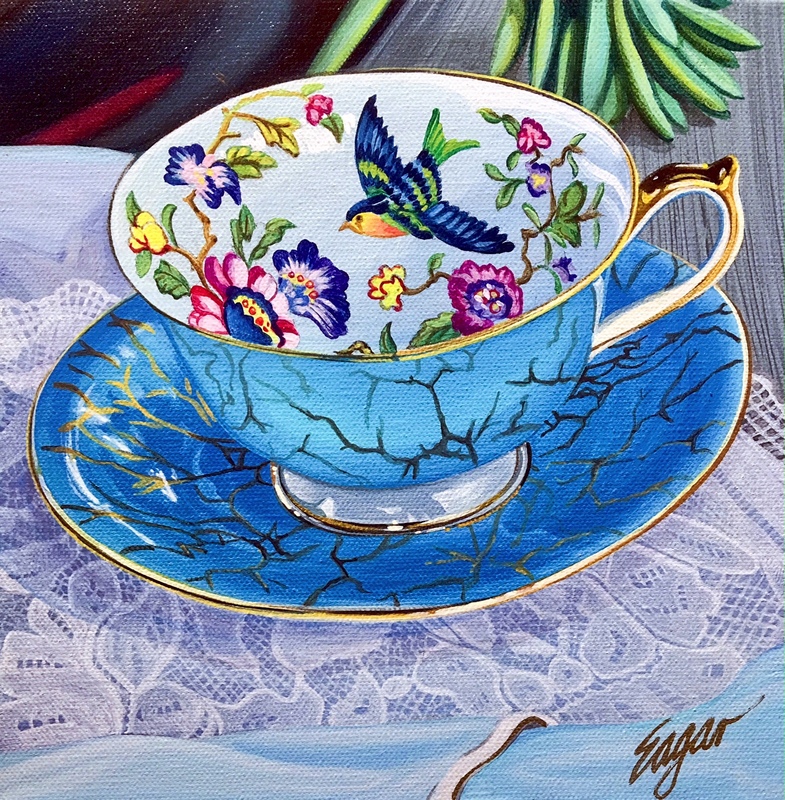 Unlike the other acrylic painting in the series, this painting shows a loosely brushed technique on the logo, with a contrasting gold leaf and dramatic black touch to set it off. 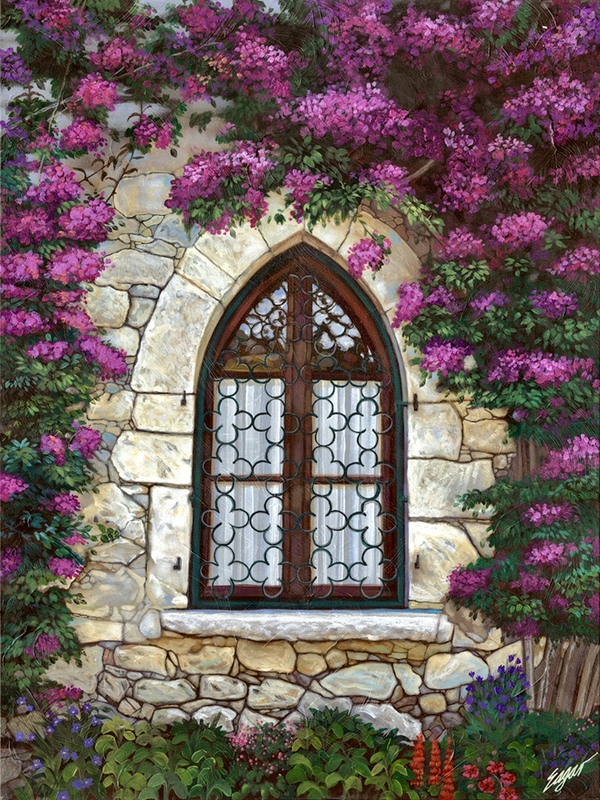 Garden Window"Garden Window", is a magnificent execution of light and texture. This piece shows the depth of reflection and light within the panels of the glass itself, behind the patterned wrought iron bars attached to the heavy stone. 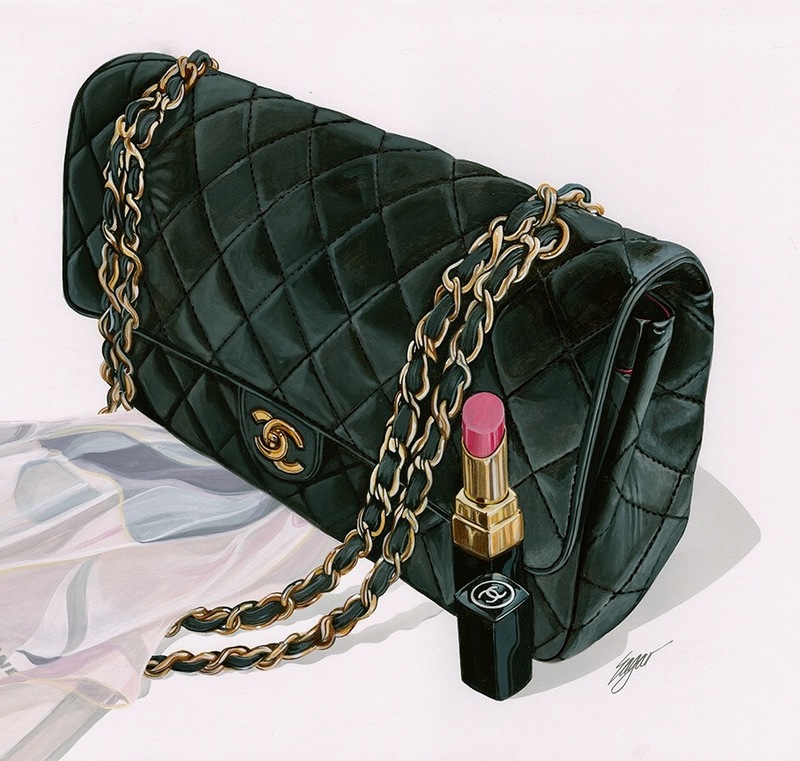 CoCo Chanel Handbag Wall ArtPart in the series of the LUX Collection, this detailed leather purse with gold chain and lipstick, is classic. The contrast of the soft scarf, and red open lipstick is fantastically detailed in its execution. The black leather texture appears real. Sea QuestThis magnificent classic wood boat, starting its journey to the open seas. With the wind in its sails, and gleaming sunrise behind it, the light seems to send this boat on its way. CruisingThis beautiful sea turtle painting can be a great focal point for any room. 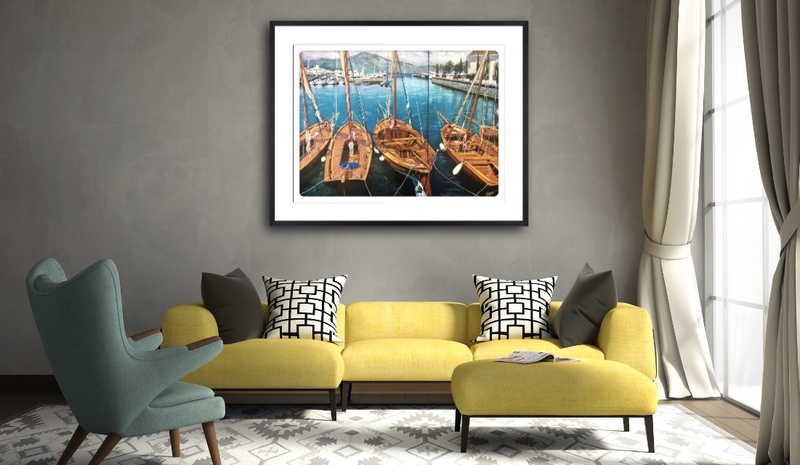 Harbor ViewAcrylic on canvas, part of sail boat collection by Clint Eagar. Octopus FigurineThis chic octopus figurine designed by Clint Eagar is based on his fine art painting. 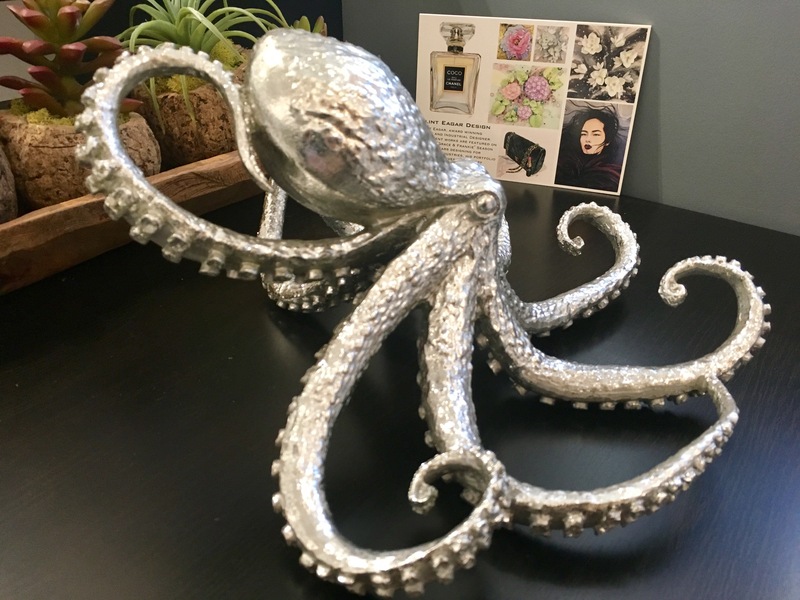 The octopus is sculpted in great detail and finished with hand rubbed silver foil. this coastal decorative Octopus is a great additional accent for your home or office.